I just wanted to take a minute to say thanks! I just became a consultant. I was about to get really involved when another consultant actually gave me a link to your website. I went to a men’s expo and had no idea I even signed up for one of their drawings. I get a call TWO months later and was told I won a gift certificate for $10 and a free makeover. At the time, I was like okay, sounds like fun. This is something me and my teenage daughter can do for fun together. So, the sales director comes to my house, we get the makeovers and I of course wind up doing a bubble package for $99. I do love their stuff. At this time, I was in a job that I absolutely hated and was looking to get out of. I am also new to the area and trying to make friends. She shows me her profile and tells me she is on her THIRD car and that she has been doing it for like 7 years and has no other job. She also shows me a copy of a check that one lady in Florida received for over $50,000 that she earned in just ONE MONTH! Sooo…..I’m thinking this lady is sincere and super nice and I get to thinking about it. Surely, if this is her only means of income and she is single, it must really work. About two weeks later, my husband says that if I want to do that, I had his blessing to quit my part time job and do this full time. So…..I did. My husband also made a decent living and we could survive on his salary alone. So….I put my two weeks notice in my job to do this full time. THEN, my husband was laid off from work. We were so devastated because we did not see this coming. This happened the day before I was supposed to go to my first “weekly meeting”, the one you describe on your site where you have to pay $2-5 to go to.I was already emotional. So….here I am with this starter kit, go to the meeting, hoping for instruction and got NOTHING! I was so overwhelmed. My husband is a liver transplant recipient and has to take anti rejection meds for the rest of his life. Without them, he will die. These medicines cost over thousands of dollars for one month without health insurance. I told my director all of this too. I left there feeling like they could care less. One of the girls tried to explain how she does it. (She is in line to be a director) I didn’t tell her what was going on with me personally. I just told her my world just got turned upside down and I didn’t know if I can take on all this at once. She was telling me I had to get two checking accounts and a savings account and all this other stuff. I just wanted to cry and all she could say was “well, this is a business.” My sales director was the only one who knew the details of my dilemma. She just keeps saying she is praying for me. That’s another thing that I have a real problem with. We are religious people and I was told this is a Christian based business. They do pray at the end of their meetings. They use Jesus to attract you. I was told that these girls go to these seminars and drink and party. I am not a luke warm Christian. My husband and I take religion very seriously. So…..here I am….$400 of my own money already invested, complete with my own website, a starter kit, business cards on the way and NO CUSTOMERS in sight! Everything you say on your site is true. I’ve been hounded about going to these out of town seminars and events that cost money. I can’t afford that right now. I emailed my director yesterday and told her that I had to focus on my family and try to find a job with health insurance for my husband’s sake. Her reply was simply “do facials and book parties”. They claim they are all about building relationships, but their true motto is to destroy them. This is my life…and it’s real, complete with real problems. I’m so thankful for what you’re doing because it totally stopped me in my tracks. I am still going to “attempt” to sell what I can while I still have the 50% discount, but have decided not to do any of the extra stuff. I figured if I just paid for all this stuff, I may as well see if I can do a LITTLE something with it. If I can’t, I’m just going to let it go. Thanks again. OP, you’ll honestly be way better off sending it back. What you’ll lose in the 10%, will be utterly worth the absence of hassle getting people to buy it. So sorry about your situation. And the fake MK “friends”. Best of everything to you. If there is any solace, at least you didn’t spend more money. I recently went to another MLM party, the skincare line was over $200 with the party “discount”. I use Oil of Olay from Costco, about $20 a month. I was tempted for half a second, because everyone else was buying. No, I just decided to not be part of the group. Was the $400 your starter kit or an initial inventory order? If it’s the starter kit, you’ll never sell it for $400. Just because they said it’s worth $400 doesn’t make it true. If it’s an initial inventory order your best move right now is to return the entire box to MK for the 90% buy-back. You have enough stress in your life. Trying to sell this stuff is a total waste of your time. Either way, tell MK Corporate to cancel your consultant number. Block your Director and recruiter’s phone numbers, flag their emails as spam, and unfriend them on Facebook. Maybe, given your husband’s misfortune, your old employer will rehire you until you can find a full time position. I wish you well. Get out ASAP. Return what you can for a refund. 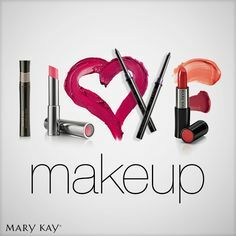 The longer you’re in Mary Kay, the more precious time and money you are wasting. How do others sell? Many are simply stuck with products. Or they sell at discounted prices. They lie. They manipulate. They beg. It’s a disgusting, demeaning, fake “business” with no steady paycheck, no benefits, no pension, no paid vacation or holidays, etc. As a former Director myself, I can tell you that yours is not guiding you with common sense of what you should be doing right now. Facials? When you’re facing Cobra payments?! Your situation isn’t hypothetically life & death—it really is. It benefits her to have you working, and, if she was as Godly as she claims to be, she’d instead push you to get insurance coverage and come back to MK when the dust has settled. Call 800-272-9333 and ask for the Repurchase Department. As someone who drove Cadillacs and did earn diamonds, I can’t say you’ll never achieve anything in MK, but it’s not a quick result. Nor is it PROBABLE. Take care of you and your family first. And you so t find that in a silly Starter Kit. Your Director is on her 3rd car…. I’m betting it isn’t a Cadillac, or you’d have said so. If she’s not ina Cadillac, she’s not getting enough unit commissions to live on, and certainly not enough to support a family. Also, she omitted mentioning her big car co-pays for missing car production quotas. She’s been in MK for 7 years… After 7 years why isn’t she in a Cadillac? Is she just not able to promote herself to the next level like she told you that you could? Easy-peasy? What s wrong with her? She has no other job… someone’s paying her bills, and it’s not that “Love Check” from Mary Kay. Alimony and child support, maybe, but not Mary Kay. I don’t suppose sh offered to show you her most recent IRS Schedule C. Is it impolite for you to ask? In a real business decision, knowing all the facts including proving earnings is critical. It’s called disclosure. She showed you someone else’s $50k check…. that’s because she doesn’t have a big check of her own to show you. “Big” means “something higher than $7.25 x 4 weeks x 40 hours per week” AFTER subtracting events and all her other Mary Kay expenses. She also didn’t tell you that the recipient of the $50k check was someone at the tippy-top of the pyramid scheme, who made her money from manipulating people like you. Time to get out now. Don’t wait for your active window to close. Get out before you get suckered in any deeper. The best advice is to send everything back for the repurchase. You’ll get 90% of your purchase price, plus the sales tax you were charged on the full retail value. You won’t make near that much trying to sell it yourself, as most people won’t want it unless it’s discounted pretty substantially. Be proud of the fact that you caught on right away. Not everyone would have taken the advice of the other consultant gave to you. You’re not alone here. This is a place you will find genuine support and strong advice. There is plenty of strength and safety in numbers & there’s no shortage of those valuable items with this group. you’ve got the smarts and the strength to come back from this! That is half the battle as I see it. Don’t be afraid to ask for advice if needed. This group has a lot of experience to share, so the road back is as smooth as possible.